It’s official: the sequel to X-Men: First Class will be X-Men: Days of Future Past. The film’s producer Bryan Singer confirmed rumors to IGN that the next film will be named after and based upon the well-known story penned by Chris Claremont and John Byrne. Singer is the man responsible for bringing the popular team of mutants to the big screen, directing X-Men, directing and producing X2, and producing X-Men: First Class. This announcement follows on the heels of the Wolverine, a film featuring the popular X-Man adapting the critically-acclaimed 1982 limited series Wolverine by Chris Claremont and Frank Miller, which began filming in July 2012. 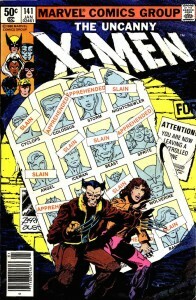 The X-Men franchise was rebooted when the release of the third X-Men film received mixed reviews (though, was quite financially successful) which began with X-Men Origins: Wolverine, loosely adapting elements of the limited series Origin recounting Wolverine’s long-withheld mysterious past, and culminating into X-Men: First Class. While Origins seemed to try to act as a precursor to the X-Men film franchise, elements of First Class seem to indicate abandoning the first three films (including portrayals of Hank McCoy and Sebastian Shaw in the original trilogy altered for the purposes of the latest film). First Class recounts the first meeting between Charles Xavier (Professor X) and Erik Lensherr (Magneto) and the formation of the X-Men against the back drop of the Cold War (the story’s climax leading to a philosophical separation between Xavier and Lensherr leaving the latter to take the remnants of Sebastian Shaw’s Hellfire Club, and X-Man Mystique, to form the Brotherhood of Evil Mutants). Published in 1981, Days of Future Past is a two-issue arc in the Uncanny X-Men dealing with a future where humanity is enslaved by robots called Sentinels that were built to hunt down and incarcerate (or, alternatively, exterminate) mutants. 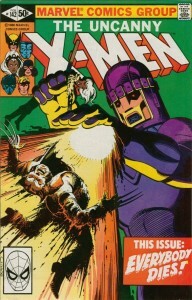 The events leading to this future directly tie to an event in the past when Mystique and her Brotherhood of Evil Mutants assassinated senator Robert Kelly generating anti-mutant hysteria leading to the production of an army of giant Sentinels to be assembled and hunt mutants in order for people to feel safe again (instead, of course, their fear leading to their downfall). Surviving X-Man Kitty Pryde is able to send her mind back in time to possess her younger self in order to guide her teammates to prevent the Hellish future. 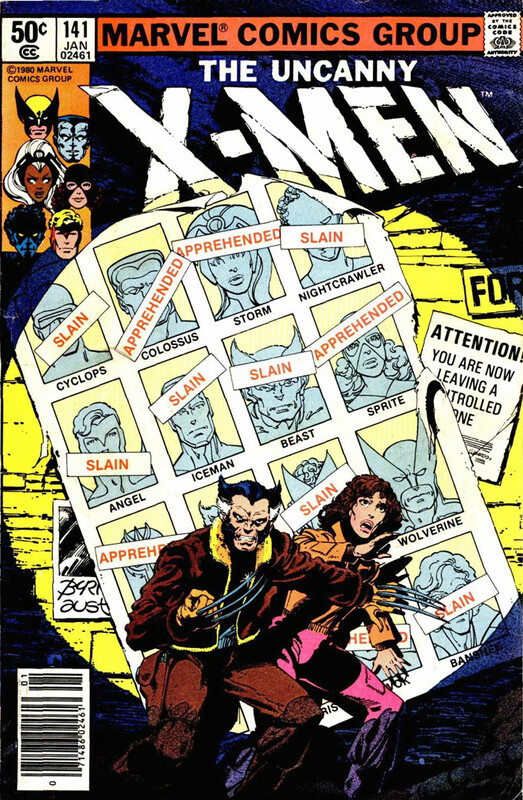 The story would prove to be wildly popular, its elements revisited repeatedly such as when Rachel Summers, daughter of Cyclops and Jean Grey, abandoned that future to come to the present where she is followed and hunted by the ultimate Sentinel Nimrod. 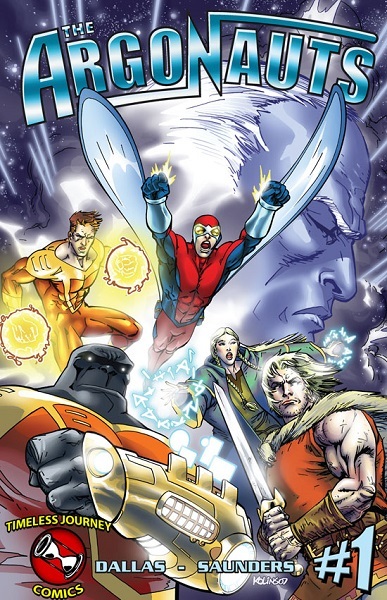 The story has been adapted for television in the X-Men animated series (incorporating the characters Bishop and Apocalypse) and Wolverine and the X-Men (the latter forming the basis of its first season).